Vintage back issues of International Musician and Recording World magazine are available here and discounts are available for multiple purchases. 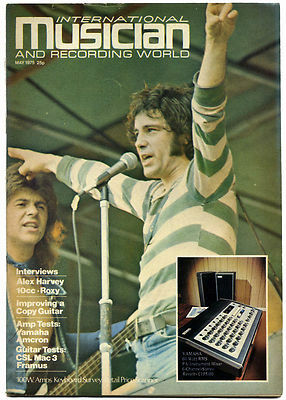 International Musician and Recording World was a music based magazine published from March 1975 to 1991. 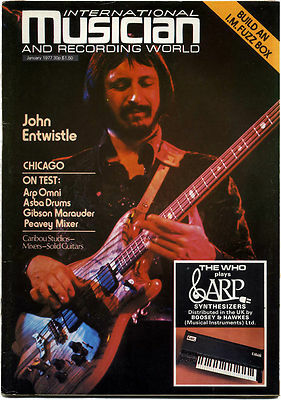 During the 1970's International Musician Magazine was one of just a few musicians magazines in circulation at the time. It published interviews with many well known rock, pop, jazz, metal & indie recording artists, such as George Harrison, David Bowie, George Benson, Jaco Pastorius, Frank Zappa, The Damned, Depeche Mode Iron Maiden and a host of others. Interviews focused on recording techniques, tour equipment and stage sets, lighting, recording equipment and instrumentation. Prices are negotiable for multiple purchases.